I cannot believe how quickly time goes. Mrs. O Around the World turns 4 this month! 4 years old! I would like to take this opportunity to thank you for your support over this time – and my way of doing so is to offer you a chance to enjoy some of my favourite luxury experiences and items from around the world. What are the prizes for the 4th Mrs. O Around the World Blog Anniversary giveaway, I hear you ask? Well… they are quite special! 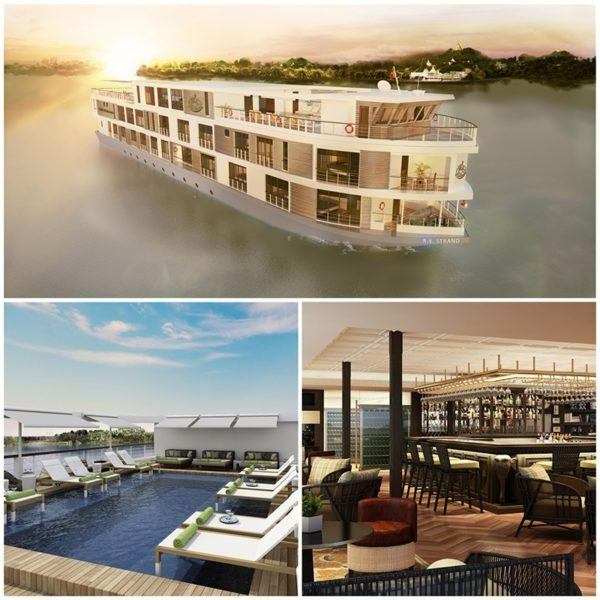 Operating a​ schedule of three and four-night itineraries between the ancient cities of Bagan and Mandalay, the Strand Cruise is a reinvention of the legendary style of its sister property, The Strand Hotel Yangon. 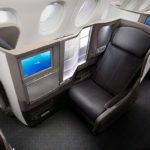 The new 27-cabin ship is enhanced with latest technology such as individually controlled air conditioning and WI-FI from satellite communication. The Strand Cruise is a genuine luxury cruise experience with access to many private moorings close to landmarks along the river. A highlight of the itinerary is an exclusive mooring overnight at Ava on the journey from Bagan to Mandalay, allowing passengers access the beautiful temple of Maha Aungmye Bonzan after the crowds have departed in the evening until the following morning, when monks join passengers for a very special farewell. The Strand Cruise is also the only operator on the river to offer visits to the iconic U-Bein bridge on both north- and south-bound itineraries. Opening Season offer:​ The Strand Cruise has a special launch offer available for sailings from January to March 2016 of 20% off the published high season rate. During this time, the three-night journey between Mandalay and Bagan will be from US$2,592 (usually from US$3,240) per person based on double occupancy, and the four-night journey between Bagan and Mandalay will be from US$2,874 (usually from US$3,592) per person based on double occupancy. There is also a special 2 for 1 offer on the first two cruises (Christmas and New Year). Mr. O and I will be sailing on the Christmas cruise and very much looking forward to sharing this unique experience live. Follow The Strand Cruise on Twitter and Facebook. The Strand Cruise is offering passage for two people sharing a cabin on a four night journey between Bagan and Mandalay. The prize is valid until 1 November 2016 and is subject to availability. Prize includes all excursions and activities as described in the set itinerary, three meals during full sailing days, breakfast on day of disembarkation, soft drinks & local beer, house wine during meals, port charges, English speaking guides (alternative language guides can be provided on request subject to availability), satellite WI-FI in all cabins and public areas and complimentary international daily newspapers available on guest’s digital tablets. 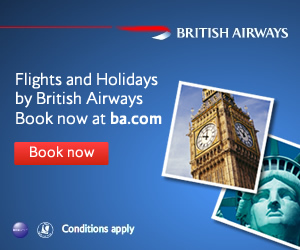 It excludes domestic and international flights, visa costs and transfers. Ashford Castle is magnificent five star hotel set on 350 acres in County Mayo, on the shores of Lough Corrib and the River Cong, with a spectacular backdrop of woodlands, lake, river, and mountains. With 85 guest rooms, a wealth of activities and thoughtful touches throughout, guests will enjoy acclaimed Irish hospitality on a grand scale at Ashford Castle. The striking interiors are in keeping with the castle’s history and grandeur – it’s a treasure trove of art and antiques with more than 800 paintings and around 130 chandeliers. Following a two-year restoration of the 800-year-old building, the hotel reopened to guests in April 2015. The expansive 350-acre estate lends itself perfectly to a range of outdoor activities; from country classic pastimes such as horse riding, fishing, and falconry, to more modern activities such as golf, cycling and kayaking. So whether you are the active type or prefer to relax and soak up the scenery, you are spoilt for choice at Ashford Castle. After a busy day of outdoor activities, guests can indulge in exceptionally gourmet cuisine offered in the castle’s four main dining rooms – fine dining in the grandeur of the George V Dining Room, casual dining in the comfortable setting of Cullen’s at the Cottage or Cullen’s at the Dungeon, or a delightful Afternoon Tea in the elegant Connaught Room. Mr. O and I visited recently and I have to say, it was all we expected and more. Ashford Castle is offering one lucky winner a two night getaway for two people, including breakfast. Prize must be claimed before the end of April 2016, is subject to availability and certain blackout dates will apply (including; Christmas, New Years, the St Patrick’s Day weekend and the Easter weekend). Flights and transfers not included. Non transferrable. Relishing its exclusive location on the Gulf of Toroneos, this contemporary Greek masterpiece extends across a perfectly landscaped 22 acres framed by an exclusive white sandy beach. I visited Ikos Olivia earlier this year with my sister and was really impressed. Ikos Resorts bring a new era of hospitality to the Mediterranean. Luxury resorts in stunning natural locations, where elegance is omnipresent, yet understated. Ikos have redefined the all inclusive holiday by offering an exceptional food and beverage experience and exemplary service. Each Ikos property is located on a golden sandy beach and features 5 restaurants, 4 of which are a la carte and overseen by Michelin starred chefs. 24 hour room service, a dine out experience in selected local restaurants together with an extensive wine list, branded spirits in all bars and in your hotel mini bar and waiter service by the pool and on the beach are just some of the extra touches you will experience as part of the Ikos Resorts Infinite Lifestyle experience. Ikos Olivia is offering a very lucky reader a 3-night stay in a sea view double room and a chance to experience its Infinite Lifestyle concept. Offer is valid until October 2016, excluding dates from 15th June – 15th September. AirPortr is your London airport personal luggage concierge service. It doesn’t matter how luxurious the destination you may be travelling to is – sometimes it is that trek to and from the airport that can take the 5* feeling away. Now AirPortr are on hand to treat you like a VIP and deliver your luggage for you. On your day of travel, AirPortr can collect your luggage from your home or hotel and deliver it to the airport later that day leaving you free to take your time and travel to the airport at your leisure, totally bag free. Similarly when you land in London, you simply leave your luggage with the AirPortr team in the airport terminal and the next time you see your bags will be at your home or hotel later that day. I don’t know about you but having someone carry my bags for me always makes me feel a little bit jet-set! AirPortr are offering their luggage concierge service complimentary for two people for your next return trip for up to 25 bags, includes sports equipment/oversized luggage (any weight any size). Service is limited to operational areas, please refer to portr.com for current airports serviced and qualifying delivery/pick up areas. Prize valid for 12 months. 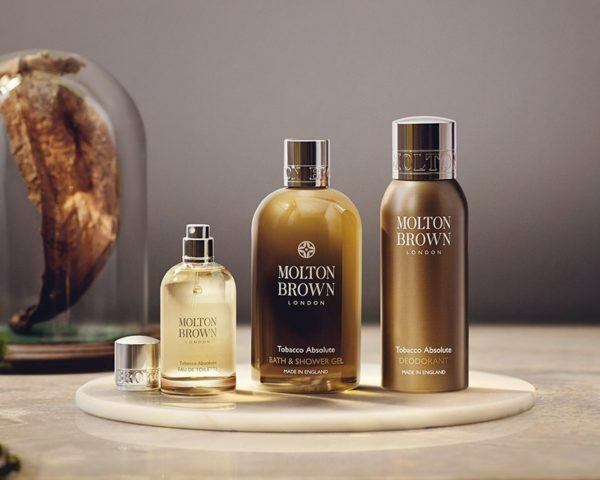 With over 25 years of experience, Molton Brown has naturally built up a renowned reputation as body and bath connoisseurs. Their team travels around the world looking for the rarest and finest ingredients before returning to their beloved home in London to blend them to the highest standards. Think luxurious shower gels, lavish body lotions, indulgent hand care and fine eau de toilettes… Molton Brown is inspired by London, a city that never sits still; this is what makes their colours brighter and their scents bolder. Explore Molton Brown’s full collection to discover your favourite blends this Black Friday weekend with up to 25% off your order*. Its Christmas gift range holds glorious treats for you and your loved ones; from a wide selection of stocking fillers to luxury gift sets, show your friends and family what they really mean to you. Super-svelte and full of sass, LUXE avoids all the fluff and filler of other travel guides and gets straight to the meat of a destination. The result? Ultra-smart printed city guides and digital apps stacked with sharp and snappy city insights. 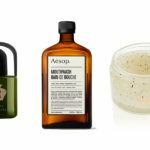 Right in time for gifting season, LUXE has also put together a shortlist of pressie ideas sure to please any global gadabout. And, as a special Christmas treat, they’re offering free shipping on all orders of USD$50 or more. Want to get your manicured mitts on some? Enter to win the LUXE World Grand Tour Box, a smart selection of 12 LUXE city guides – Bangkok, Dubai, Hong Kong, London, Los Angeles, New York, Paris, Rome, Shanghai, Singapore, Sydney and Tokyo. Phew! What do you buy a person that has it all? A whole world of choice is available when you think about a Tinggly gift box. Unique gift experiences which can be the ideal gift for loved ones whether it’s for a birthday, a wedding or just because. 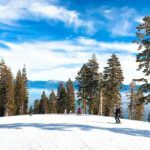 The Tinggly choice voucher lets the recipient choose from hundreds of fab experiences across the globe (in more than 80 countries), and is valid for up to two years, so there’s no need to make a decision straightaway! There are three different value collections: Essential, Premium and Ultimate. Each experience in these collections is quite unique and will appeal to different moods, locations and, of course, who will use it. Experiences range from a high speed luxury yacht in the UK, to a yoga camp in India. One of my favourite ones is being able to create my own perfume in France and there are also lots of cooking classes around the world. Tinggly is offering my readers one Ultimate Experience gift box which will be valid for 2 years. a) subscribe to the blog by signing up on the right hand side of this page. You will receive an email confirmation and you are free to unsubscribe at any time as soon as this competition ends. b) share this blog post via Twitter, Facebook or Google Plus. Make sure it has the hashtag #MrsO4 so I can see it! This competition is now closed. Winners will be selected by each prize sponsor, based on the answers and will be contacted by email. I want to share this but I didn’t see when the competition ends. I imagine that’s my fault but can you tell me please? Or does each item have its own date? The Strand Cruise is begging me to join them so it wouldn’t be very gracious to refuse it if offered. Kay, the date was back in 2015.. and winners announced and emailed. Sorry you missed it! Great competition Ana. Congratulations on the success of the blog, loving your work. 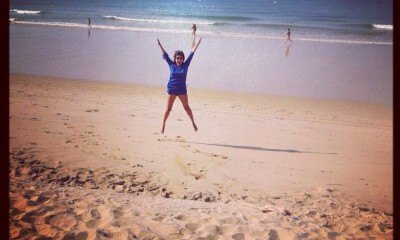 Best travel blog in the world! 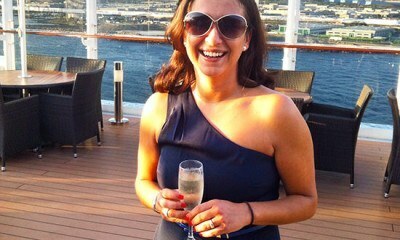 As for the competition, with my wife pregnant the ideal prize would be Myanmar cruise as it would be the ideal babymoon! What a fantastic competition – you’re going to have some happy people on your hands when the winners are announced! I would pick Ashford Castle without any hesitation; I actually have a huge family that live in the surrounding counties (Mum has 15 brothers and sisters!) and am always hearing stories about how “so-and-so from up the road” or “yer woman’s brother” were lucky enough to work on the filming of The Quiet Man which was filmed in Cong. I live in Northern Ireland so I really should have gotten round to tracking them all down sooner, but if I won, I’d definitely have no excuse! Congratulations on 4 wonderful, adventure filled years, and I wish you 40 more. And good luck to everyone entering, I’m off now to read all the comments and add to my bucket list! Some of the comments really are amazing! Good luck! Hi Mrs O, my wife and myself would love to win a trip to Ashford Castle. We’re from Northern Ireland and the castle is definitely on our bucket list of places to visit. It’s set in some spectacular surroundings. I think my ideal NYE would be a nice day out with my wife, a meal out as I’m too lazy to cook (it’s NYE after all) followed by a few drinks in front of a big log fire – I’m sure the castle has a few fireplaces that would be ideal (maybe one day). I would love to win 3 nights at Ikos Olivia in Halkidiki, Greece! My idea of a perfect NYE would be in the amazing city of Oporto with my friends and my boyfriend. I lived there 4 years during my studies and i fell in love with this beautiful city. Congratulations on your 4th birthday! I’m new to your blog this year but look forward to many more years of following you around the world! 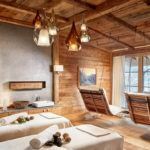 If I was lucky enough to be one of your winners I would love the break at Ikos Olivia – I loved the blog post of your break with your sister. It really looks like a little bit of paradise! And I love all things Greek! With regards to New Years eve – this year I get to go back to one of the best places to ring in the new year (and recently voted best place in europe) – madeira! I am looking forward to a lovely break on the Island with my husband and family. But hope this time will be my lucky one. Congratulations For Turning 4 , This is just a number i wish you the best for everything you do. So now the Most difficult part, Selecting one of the Prizes which i would love to Win from a selection of these amazing once in a life experiences which you are giving away. The idea of opening a box and finding not just one, but many fabulous experiences to choose from has tremendous appeal, so I’d pick Tinggly. Like you, Mrs O, I’d put the perfume – creating course at the top of my list, as I have, and I quote, ‘more perfumes than a branch of Boots’. On the other hand, my husband and I love trying new cuisines, and my husband is a great cook, while I enjoy baking, so a cooking course is very tempting, too. I’ve also started doing Bikram yoga a few months ago, fearing the onset of decrepitude, and found it very effective. So choosing one experience would be very hard, buf also very enjoyable. In fact, it is a kind of Christmas present I like best – rather than more stuff, I like collecting experiences. Material things can be lost or stolen, but no one will take away your memories. I often buy my loved ones tickets to an event or experiences, and I will certainly be looking at Tinggly when choosing Christmas or birthday gifts in the future. Happy 4th Blog Anniversary Mrs. O! Wish you more adventures and happiness! All the prizes you mentioned are great, but I would love to experience the 4-Nights Strand Cruise in Myanmar since geographically, that is nearer from where I am at the moment (Philippines) an I haven’t been in a cruise trip before! I would love to blog about it and share it to my social media too. I also plan to go back to the UK next year so Ashford Castle trip in Ireland with my mom would be great! I would choose the Ashford Castle trip, and I’d take my Mom to treat her! She does so much for me and I can never seem to repay her… this would be the PERFECT way! My ideal New Year’s Eve would be spent at the castle with my entire family, talking about the highlights of our year and being grateful for all the things we are blessed to have. Of course, there would be fireworks over the water and a feast! Thank you for holding this amazing giveaway. I would choose the cruise and surprise him for his birthday/congratulations for having just completed his Master’s degree. It looks spectacular! Congratulations on the 4th Year Anniversary!! It was great to see you TV this year!!! My choice is definitely : “Ikos Olivia”, it looks fabulous! #NYE Dream would be a few days round the Greek Islands on a Yacht with my gorgeous, pulling into a bay to watch NYE fireworks one night! Swimming in those clear waters and enjoying tasty greek food every evening! Good Luck for the next year! I would choose the Strand Cruise in Myanmar. I would like to spend New Year’s Eve with my sister. It would give her a break from her crabby husband and I know we’d have a lot of laughs and perhaps lift a “sisterly” (in the broader sense) toast to Aung San Suu Kyi , the new leader of Myanmar! Kay Dougherty recently posted..Swoop Patagonia rescues us after a cancelled trip! If I could choose I would like to go to Ashford Castle in Ireland. My perfect New Years would be in a place where I could experience new things. To love it and become passionate about it. To pursue beauty. To seek joy with the one I love. And never forget, if we get the chance, to love and be loved. Beauty as love may not be eternal but they will always exist, every new years, time after time. From one Mrs O to another – Happy birthday !! New year and family go together. It doesn’t matter where you are as long as you have loves ones to celebrate with. All blogs are amazing and I’ve followed quite a few ! I know you have, thank you so much for your support! Happy 4th Birthday Mrs. O!!! So… it’s your birthday, ans we’re the ones getting prizes!? If I could, I’d definitely choose Ashford Castel! And take a very good friend with me. We’ve done almost everything friends can do with and for each other… but we never had the opportunity of travelling together! We both share the same fascination about Ireland, and we’ve been very well behaved, busy and hard workers girls (Santa, this is for you too) so we deserve a little pamper! Ashfrod Castel would be just perfect! Each year, as holiday season approaches, I dream of the day I’ll go spend Christmas and New Years Eve in New York, with my future dreamy husband. 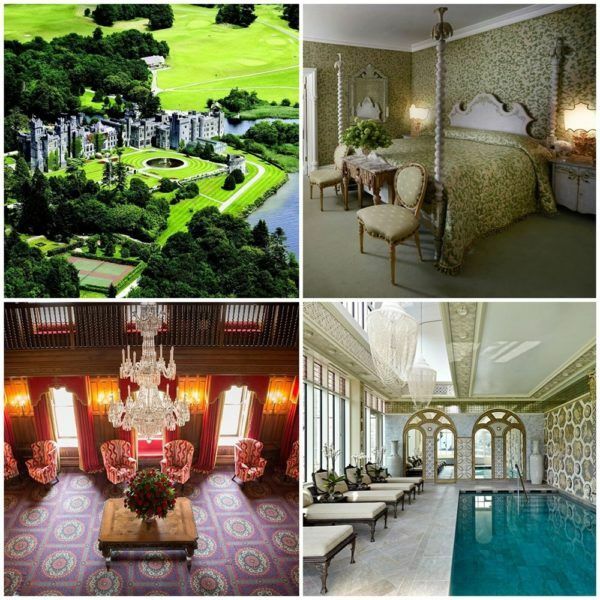 Oooooooo golly, Ashford Castle please – have always wanted to go! My perfect New Years Eve will be New Years Eve 2015/16 because I’m travelling to Copenhagen with my husband and 2 kids just as you recommended I should – THANK YOU and Happy Birthday! After a long year of work and university I wish I could go to Ashford Castle with my best friend! We’ve been talking about going to Ireland for a long time now but never seem to have the time or the money to do it! Your best girl is always your best girl no matter what and I’d love to enjoy this with her! We always spend New Years Eve together and don’t have plans this year… soooooo the giveaway just seems like something out of a dream!! Happy 4th birthday Mrs.O Around the World!! Ashford Castle in Ireland or the Lux city guides. We’ve spent most of our time in Dublin and I’d love an excuse to explore further. As for New Year’s eve, anywhere with my husband. He’s been traveling a lot for work and I miss him! Having so much fun following you on Twitter! I would spend my perfect New Year’s Eve in Italy sipping wine and dining on pasta at a romantic spot just for two with my wonderful husband of 25 years. #BucketList The prize I would prefer is the Ashford Castle in Ireland weekend….it sounds equally romantic 🙂 Thank you and happy birthday! I’d love to win the stay at Ikos Olivia and take my boyfriend on a truly memorable two year anniversary holiday. We were very unfortunate with the weather on our holidays this year and I know we’re both craving a stay in the sun next year and Ikos Olivia in Greece would be perfect. We’d spend the days taking part in the activities on offer, with a fitness class in the morning and then an afternoon on the beautiful beaches or riding around on a mountain bike taking in all the sites and we’re big foodies so we’d love to come back to an evening of gorgeous locally produced food before settling down in front of the evening entertainment! I’m already daydreaming of an itinerary! Congratulations on the 4 year anniversary! All of the trips you listed sound wonderful but the one that spoke to me was Ashford Castle in Ireland. I’ve only been to Cork (and that was only for a day) so I’d love the opportunity to explore the country. I have a tradition of waking up in the New Year in a different place every year. Most years my travel companion is my dear friend Paul so I would love to continue that tradition. Thanks for offering us these opportunities. Fantásticas opções ! Mas…embora hesitante entre a Irlanda e Grécia, dado o frio de rachar que está hoje em Portugal acho que vou querer ir para a Grécia! Parabéns pelos 4 anos do seu blog Ana! I think if could choose one of your fabulous giveaways it would be to stay in the castle in Ireland. As for my ultimate New Year’s Eve destination, I’d choose Thailand. I was there last year for that holiday and it was magical. There is so much more of that country I’d like to see. And I’d choose my friend Nick to share New Year’s Eve with me! Dear Mrs. O, congratulations on such a wonderful blog! 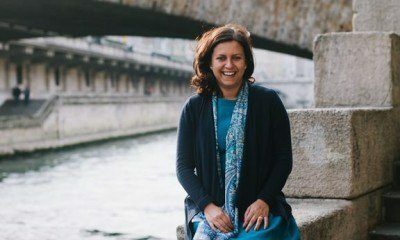 I met your blog a few weeks ago and got very surprised (slightly envy i must say :)) when i saw the amazing photos, the sweetness of your descriptions of the places you’ve been that really transport us to those places along with you. 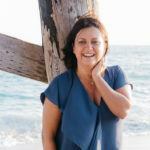 And as a Portuguese myself, i am very proud that a Portuguese woman has a leading role in influencing the online community when it comes to travel and lifestyle. I would love to spend a weekend at the Ashford Hotel in Ireland, and i would choose my husband (and if i could, also my dog!) to go with me, we are newly weds and we love to travel, specially when it comes to nature, green, clean air!! And it also would be a great place to celebrate the new coming year, as we wish for great resolutions to come, personal and professionally. Fingers crossed on this side! Happy birthday Mrs.O!…what an amazing prize list!! !…I would be thrilled to win one of the travels, but I must confess that I’m having a hard time to decide for a favourite one…I would love to return to Greece, I’m dying to get to know Ireland…and the cruise sounds just magical! My perfect NYE would be spent at the top of Macchu Picchu, with my long term boyfriend and some friends, helping the local communities and waiting for a magic sunrise! It’s our dream trip! I’d love to win a weekend getaway at Ashford Castle .. I’ve always dreamt of staying in a castle. My ideal NYE would be spent on a remote beach somewhere with my husband where perhaps we could see fireworks at midnight from afar! You’ve outdone yourself Ana! These prizes are amazing! When I think off all you’ve achieved its hard to believe Mrs O is only 4 years old! I would LOVE to win the 3 night stay at IKOS OLIVIA in Greece! Greece will always hold a special place in my heart as I met the love of my life there! I’d love to spend my New Years on an island paradise… Anywhere in the world with a beach and gorgeous sunsets. I hope your christmas and New Years are wonderful! Happy birthday! That is a good story!! Good luck! I wish I could spend New Years Eve with my Dad who died suddenly this year. He loved traveling in South America, so maybe somewhere like Machu Picchu.That would be very special. I would be delighted to get the opportunity to visit Ikos Olivia, Halkidiki, as I love the Greek Islands but have never been to the mainland. Lynnsay,I am so sorry to hear about your father. I have no words. Hello! Thank you so much for this oportunity. I would like to spend new years eve in Ireland with my daughters. 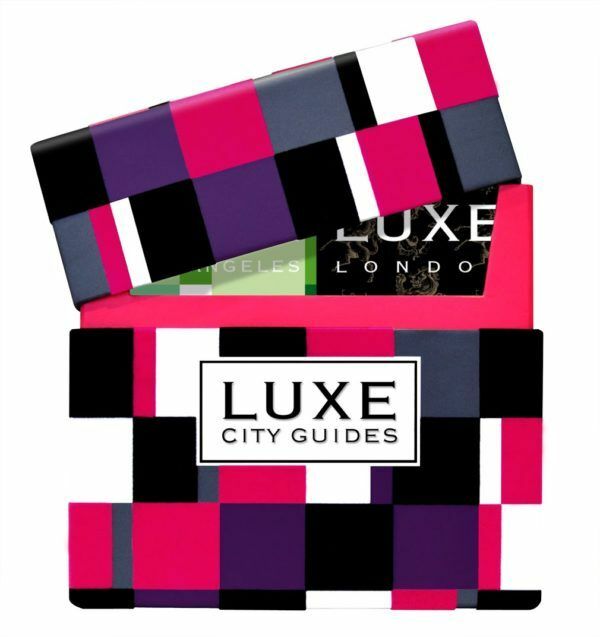 As this date is already taken to spend it in the UK, I would like to win the Luxe Guides. The UK is lovely! You will have a great time! I would like to win the Luxe Guides. I would like to spend new years celebration in New York with my future husband!! I like your thinking! NY is always a good idea! Cannot wait to try out the wonderful hotel in Greece. My New Year’s Eve plans would involve my family and a seafood feast with a different course every hour. Ohhh I like that! One each hour? For how long? Great blog and some great prizes! My choice would definitely be the Ultimate Tinggly Experience. Happy birthday! I really ❤️ your work! What amazing prizes you have!! After 18 years of marriage, we think we deserve a honey moon!! Ikos Olivia sounds PERFECT. If you agree with us, let the LOVE and the PASSION for TRAVEL be the winner! About New Years Eve, I keep dreaming with Brasil (Rio de Janeiro). Me, my husband and my 2 kids. Thank you and best regards from Portugal. I think you do too! Thank you And good luck! Happy birthday to you! Happy birthday to you!…Quite a way to celebrate one of the best bloggers I know! My dream prize is the Myanmar cruise! That’s been on my bucket list since our honeymoon. We were in Southeast Asia but didn’t make it there. I hear fabulous things! The perfect New Years Eve would be anywhere in the world I have not yet been with none other than Mr. TP haha. Wishing you the happiest bday!! And many more, darling! Thank you so much for your very kind words! Means a lot! Congratulations Mrs O Around the world on this great achievement! Here’s to many more. It is extremely tough to choose from one of the prizes. I would like to spend New Years with my best friend, my sister. She is my strength and has supported me on all highs and lows, she is my pillar. I would love to visit anywhere where I could soak in the sun and rejuvenate. Away from the hustle and bustle of the busy city. That is so sweet – I love my sister too and spending time with her as much as I can. Congratulations on such success in such a short space of time! My ideal new year’s eve would have to be NYC with my hubby! It was the first place we went together and we’re actually off there again week after next which will be my first Christmasy trip there, so having experienced it in the summer and pre-Christmas time, I feel like New Years and Thanksgiving must feature one day soon! My favourite of the prizes would have to be Ashford Castle or Halkidiki! NYC is perfect all year round!! I’d want to spend it with my whole family just as long as my husband and I had a separate connecting room for our children. I’d love to see the fireworks over the Sydney Harbour Bridge in Australia. Last time I was there it was fall and I was pregnant with my first child, so I was too tired to stay up until midnight. If I won, I’d choose the Tinggly experience for sure. Since there are so many places we could use it! Happy Birthday to your blog Mrs. O. Happy 4th Anniversary Mrs O. Not been to Greece for years and loved your pictures of Ikos Olivia. One year I would love to spend the New Year in a warm sunny destination with my Family, would make a change from the cold temperatures of the UK, maybe take the family to the Maldives. My favourite destination.! Happy 4 years! So many amazing experiences…I think I’d love the Tinggly box because of the incredible variety and unique experiences. As for New Year’s…I’d love to be in a snowy cabin on a mountain with friends (and cheese fondue). I would love to spend New Years in Iceland! If I have to stay up till midnight, I may as well see the Northern lights as well! Of course with my hubby! I would love to go to Greece and win that prize, the food and beaches look amazing! Everyone is going to Iceland – I need to go soon! The cruise would be so photogenic, to spend new year with my husband and my camera in a country that I have yet to visit, would be just perfect. My first choice has to be Myanmar. That is a fine choice!! Congrats! Love them all, but Tinggly is what I could most likely use! I am not a huge New Year fan – maybe somewhere in the South Pacific to be one of the first to welcome the new year? Or Sydney Harbour? Or Times Square? With my family around me! I am with you – NY is not really my thing, so I am loving the answers! Happy Fourth Blogday Mrs O!!! What a fantastic giveaway! I cross all my fingers! Happy Anniversary Mrs O! Love your blog. Love Porto absolutely, thinking of doing The Camino via Porto through the Galician coast. Check out the beautiful cool impecable 6only guesthouse in Porto. Lovely Mariana runs a wonderful alternative to a typical hotel. – or plan B the Greek resort looks very enticing. But I would love to spend New Years with Mr.C on the Strand, in the River Cruise, as we got married also 4 years ago this coming 21/12 and arrived on New Year’s Eve to Saigon for a fantastic cruise up the Mekong to Cambodia. It would be a fantastic anniversary celebration! Janine! Congratulations on 4 years of a great blog! Having been to Greece in 2014 and loved it, I would love the chance to visit Halkidiki. As to NYE, Rome with my husband (its his favorite place). But if not possible, then I loved a four night cruise onboard the Strand Cruise by The Legendary Myannar Strand Hotel. Mrs. O, CONGRATULATIONS! I love reading your blog regularly. Your experiences have guided so many of my adventures. These prizes are absolutely amazing. If I had to choose, I’d love to go on the Strand Cruise. I have yet to experience Southeast Asia and this would be a marvelous way to see it first hand!!! For New Years, I am still working on plans, so I’d like to consider this still and option… I’d love to be with my boyfriend in Iceland watching the Northern Lights. Our first trip together was to Iceland and this would be an amazing way to reconnect and start the next year of our life together. Happy 4th Birthday Mrs O! Loving your postings & reviews! Keep up the good work with your blogging! If I needed to vote, my dream prize would be the ULTIMATE TINGGLY EXPERIENCE, there’s such an amazing choice however the Pizza & Gelato making in Florence sounds divine and in such a beautiful setting. This NYE will be spent with my nearest and dearest – the location has yet to be decided, however being with loved-ones, I know that it will be great! Happy 4th Birthday Mrs O!! I think my perfect New Years Eve would be spend with my boyfriend in Paris at the Eiffel Tower! I’ve wanted to go there for years and I think it would be so romantic. If I win I would choose the cruise and a close second the Tinggly Box. 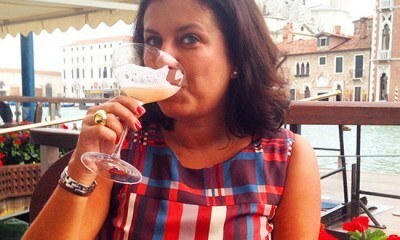 Here’s to many more years of Mrs O Around the World! I would love to go to Ikos Olivia as it looks fabulous and I’ve never been to Greece but all the prizes look lovely. Thanks Mrs O. After almost 4 years reading you I feel more each time that I’m traveling with you, through your words. If I could choose one price it would be Ashford Castle in Ireland because I would feel just like home. Some say that Azores Islands, my homeland, are as green and beautiful as Ireland so this would be the perfect excuse to check it out. The perfect New Years Celebration would be in Norway or Iceland so that we could see nature’s fireworks – Aurora Borealis – with our loved ones! I wish you many more blog aniversaries so that I can continue dreaming about traveling (and of course because of the prices for your readers!!! Joking!!). I would love to get those days in Greece at the Olivia! And my dream NYE would be on a beach in a remote resort on an island in Thailand where the food is to die for and the people are the sweetest! So much to choose from… but for me, would be Greece or the Cruise. Would love the cruise or the 3 night at Ikos Olivia in Halkidiki, Greece. Oooooh The 3 nights at Ikos in Greece sounds absolutely FAB! Happy blog birthday to an even FABBER lady!! My dream New Years would be with my main man/better half of a boyfriend, Ryan. Sounds silly but he loves Celine Dion- If we could go to her show in LV he would die- I would love to see him that happy- it would make ME so happy! I would love to go and see CD too!! Thank you and best of luck! Ohh, the idea of heading to the airport without luggage sounds amazing. I’d go for the AriportR luggage concierge. Someone has to carry all those bags back from the shopping trips in NYC..and I’d rather it wasn’t me! Megan recently posted..Is the London Pass Worth the Money? That sounds lovely! I tried Airportr last week and was so easy! Congrants on the 4th birthday! I would definitely choose the Ashford Castle, with my boyfriend. We’re huge fans of Harry Potter and castles with history, i’ve been planning to spend a couple of days in Ashford Castle for a long time because of its history, surroundings (and obviously the castle too) and all the amazing activities that it offers. Oh, and maybe because of Downtown Abbey too! We adored Ashford Castle, which we visited a couple years ago! It was amazing! Good luck! Happy Anniversary Mrs. O! I can’t believe it’s been four years – your travels are as fresh and young as ever! All of these prizes are beyond fabulous, but I would have to say my top choice, just edging out Ashford Castle (still dreaming of having whiskey there by a fire), would be the cruise in Myanmar. Going there has been on my dream list for some time now, and that ship looks top notch. Where to spend NYE? I’ve already rung in the New Year in the best city, New York, so let’s go Down Under to watch the first big fireworks celebration in the world with Dave of course! Cheers to you and many more years of travel! Oh thank you! Means the world to me! Ashford Castle was amazing! And yes to a bit of Oz! In Greece with Patrick, that would be perfect! Can’t go wrong with Greece! My vote would be for the Tinggly gift box. I love surprises and I think it would be an experience to see what you end up with. I always pride myself on finding the perfect gift, so I would love to see what someone comes up with for me! My ideal New Year’s Celebration would be spent with my husband with a fantastic view of fireworks in a lively city. We’ve done St. Barths, Miami, DC and LA together so far. I would love something abroad with good energy! happy birthday!! The Tinggly box offers fab experiences indeed – so many to choose from! I would love to go Ashford Castle, I’ve been in Cong but didn’t have the means to stay at that hotel, so it’s my drema to one day stay there. Oh you know I want to go to Ashford Castle! And as for New Years, I’ve always wanted to go to London with Dave (shocking! ), but we’ll be spending it in sunny LA (though will be in NYC only a few days before, which ain’t half bad ;). Congrats on the anniversary! A great milestone. Sunny LA is fab!! I love it! Happy 4th! I think the Tinggly experiences because I like to go off the beaten path. And so many to choose from! Thank you for detailing your 4 years of remarkable travels! I would love the cruise to Myanmar if I had to choose, though all of the choices are wonderful! As far as New Years, my family used to get together and have a huge and competitive charades game every year on New Years Eve in Houston, and I would love to make that happen one more time. As they are nearly all in Texas and I’m in England, the opportunity hasn’t presented itself. But I’m holding hope! 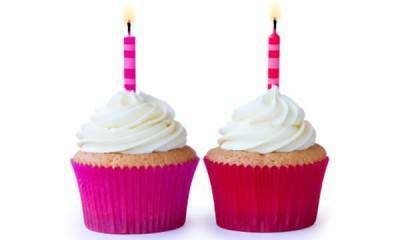 Her is to another 4 years for a fabulous blog! I hope you can make it back to Texas! Can imagine the celebrations would be so different! MissLilly recently posted...: New York – Day 3 (Rain edition) :. I try to make these very special 🙂 and Australia seems to be a very popular choice for NYE! Congratulations on 4 years! I am so inspired by our travels. I’d be thrilled with any of the trips, but if I have to pick one, I’d say Ashford Castle in Ireland. I’d love to start off the New Year here after two very long years of trying to wrap up a divorce and kick starting a new career after being a stay at home Mom for 14 years. And who would I bring along with me? My fabulous son, of course! He and I travel together and have since he was 6 months old! I wish you the best – and here’s to new beginnings! Four years already? Wow! Congrats! I would have to take the castle stay in Ireland. I’ve been dying to get there and this is this push I need, not that any of the other prizes are shabby at all! I’m a quarter Irish and I think at 35 years old it is time to start discovering my roots, at least the ones I definitely know about (my great grandma came over from County Cork). As far as New Years goes, I’d fly down to Buenos Aires with my husband, dump the kids at grandma’s before we go, and have our very first vacation in 6 years sans kids. Steak, wine and no kids is the perfect way to ring in 2016! If I won Ireland though, I may just have to make that a kid-free trip reality as well. I am on a quest to discover the O’Reilly roots and very much looking forward to going back! This is amazing – congrats on 4 years! My dream prize would be the Tinggly gift box – but then I would have a hard time choosing which experience! I think my perfect NYE would be watching the fireworks in Hong Kong – talk about a way to ring in the new year! Yes you would! So many experiences to choose from! Happy 4th anniversary, Mrs. O! I love reading about your trips – I love traveling too, if on a smaller scale. I’d love to win any of the trips, but the weekend in Ireland sounds most tempting. My perfect New Year’s celebration would be somewhere warm, on a tropical beach with friends for the party of a lifetime. Hope you have a great New Year’s too, Mrs. O! Thank you! We will be back at home for the first time in 15 years – but we are spending Xmas away, so we will have all the family with us. Congratulations on your blog anniversary! If I am a winner, my first choice would be the 4 day cruise in Myanmar. Its a country my sister and I have had on our wish list for a long time. And coming in for a close second is 3 nights in Halkidiki, Greece. Very good choices! And where would your dream NYE be? It was lovely! And where would your dream NYE be? Yay, happy 4th bday! I would definitely love taking the cruise – Myanmar has been high on my wish list since I was a kid. Sounds absolutely magical. I cannot wait to get there. And where would your dream NYE be? Hello Mrs O and cogratulations on reaching 4,. The Tinggly experience sounds fun, but to be truthful I would love to win any prize. New Year is a great time to spend with friends and look forward to the following 12 months, so we love to enjoy a safari supper in our village and plan our trips together Your blogs are aspiring and inspriational to me so please keep up th great work, here’s to many more blog birthdays! I am intrigued about your village supper safari! Tell me more! Generally there are 20 of us involved so have 3 different hosts for each of 3 courses, with different guests at each course, so by the end of the evening each couple should have eaten with most of the other couples and we then all get together for the midnight celebrations in one house. It is a logistical nightmare to organise but works so well we have done it for 6 years now! And we spend all year arguing whos turn it is to do mains! If I could choose which one it would be the Tinggly. Not an easy choice, but would fit more in my timeline of travel. I like the idea of choosing a unique experience. We have been fortunate to travel but we always do the touristy thing….so to have an opportunity to do something more unique, that would be truly living the dream. You won’t be disappointed! Best of luck! First of all, Happy 4th Birthday! New Years Eve is a special time of the year for me because it’s when I celebrate my birthday. This year the hubby and I are heading to Cuba, I’m so looking forward to it. If I had to pick it would probably be the river cruise. We spend a few days at Ashford Castle this summer and its an amazing place. That will be such a special trip! Have the best time! Ana! Nice competition! Ofcourse I’ll share your blog on twitter. I would love to win the Ireland-weekend in Ashford castle. For two reasons: 1. Never been to Ireland (that’s really something to be ashamed about because the nature there is gorgeous and we live a one hour flight away) and 2. I spotted a golf course on the pictures!! I would make my husband extremely happy with a golf weekend in a beautiful castle that looks like a fairy tale. Oh the golf course looks fab! It was very wet when we visited – which means we need to go back! New Years can only be with my love of 37.5 years, Henry. If I could go back to #Madeira I would! Funchal is the place to be to watch amazing fireworks! I would love to stay at Reids Palace for that amazing view! The prize I would choose, if I could… would be the cruise! It’s been over 20 years since I’ve been on one! Madeira is amazing!! Best of luck! That is a very good choice! Best of luck!